Ride The Tide's Soft Roof Racks allows you to outfit virtually any vehicle with roof racks in a matter of minutes. When not needed, simply remove them. 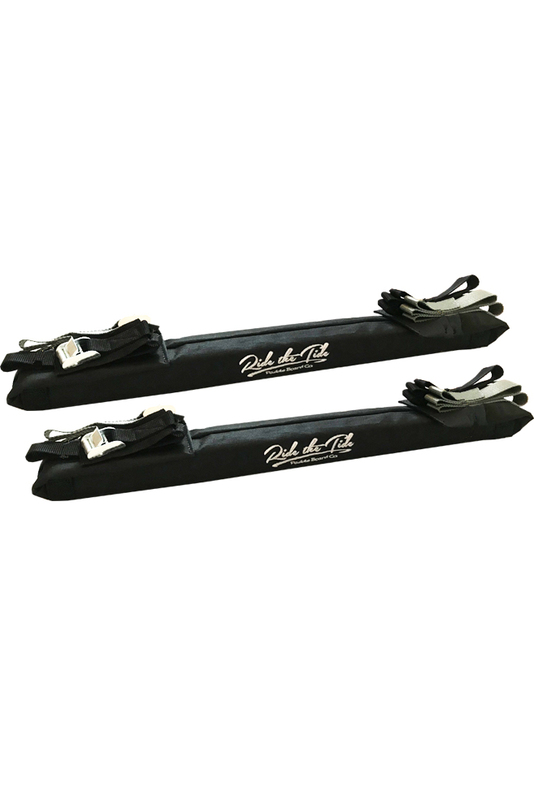 Our soft racks include all the adjustable straps necessary to attach to your vehicle in addition to securing your board. Our removable roof racks feature a firm foam pad providing plenty of protection for your car and boards and heavy duty buckles for secure tightening. The Ride The Tide soft roof racks are suitable for surfboards, longboards and SUPS, fitting a wide range of vehicles.